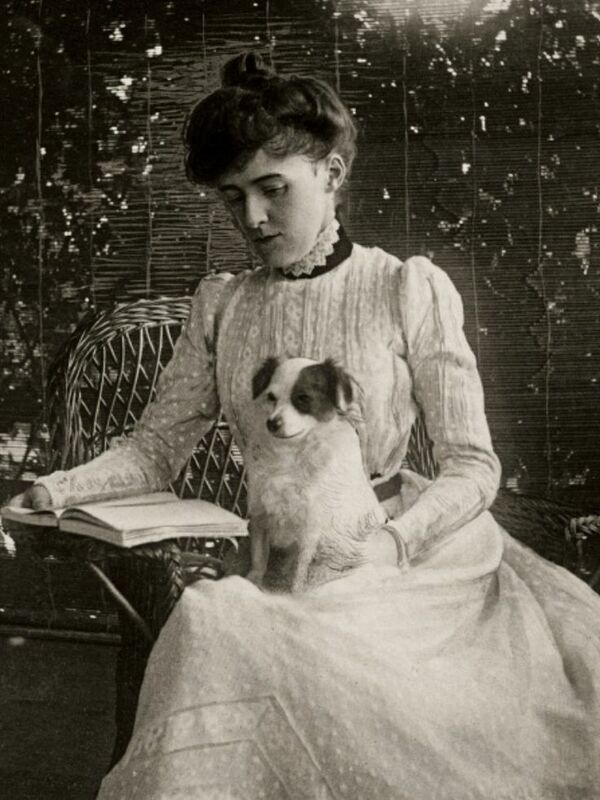 Edith Wharton and one of her many tiny dogs. 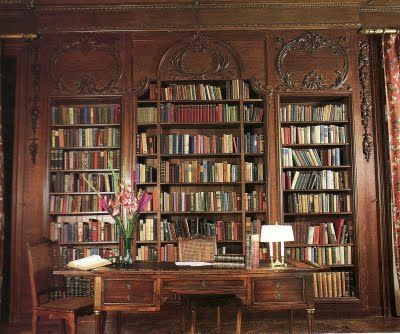 Those who really care for books are seldom content to restrict them to the library, for nothing adds more to the charm of a drawing room than a well-designed bookcase: an expanse of beautiful bindings is as decorative as a fine tapestry. Wharton’s library at The Mount. Photo by John Bessler. Edith Wharton knew a thing or two about books and about interior design, so I’m inclined to take her word on this one. I’m very sensitive about bookshelves, too, which is perhaps why it took us months to find a solution for all of the books that are stacked in the basement. 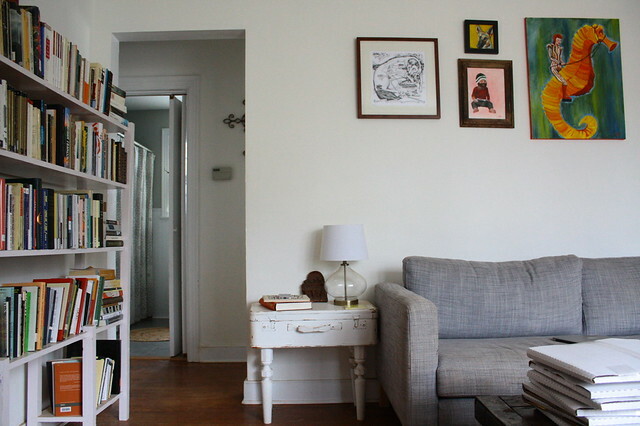 We found a perfect, narrow, rickety, white bookshelf at the Habitat store for the living room. Rickety white shelf on left. 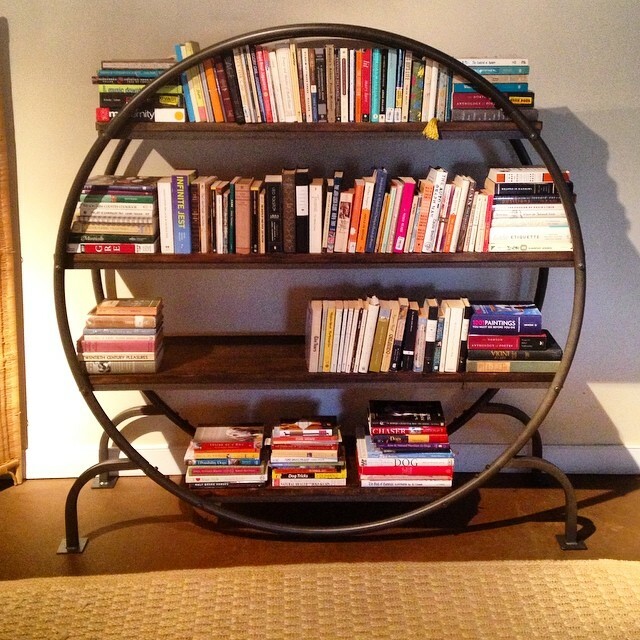 For the basement, we bought this round bookshelf from World Market, which I love. And then last year, my dad and Guion built this wonderful platform bed for the guest room, which features built-in bookshelves underneath. 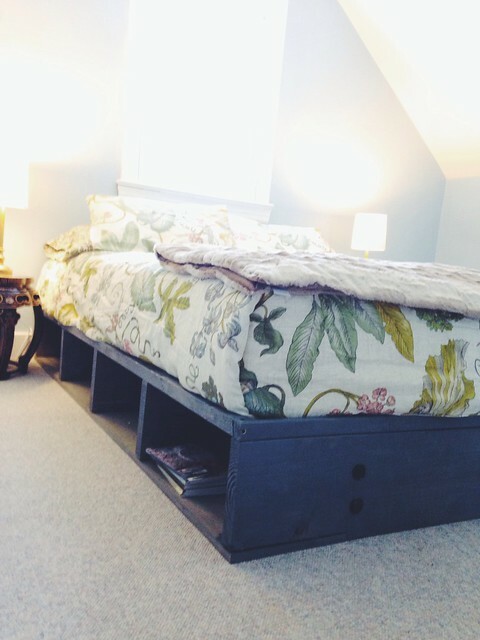 Platform bed with built-in bookshelves; handiwork of husband and father. But we are getting to the point where we will need more bookshelves. We are running out of room to store the books appropriately, and it’s making me antsy and breathless. In my strongly held opinion, books should be easily found and accessible. Although I appreciate the aesthetic merits of a color-coded bookshelf, know that I’m going to judge you pretty hard for it. Color-coded bookshelves only tell me one thing: You don’t actually read (or further reference) any of these books, because books are not easily recalled or located by the colors of their spines. That said, I’m all for celebrating the physical beauty of books. If you’re not in the habit of reading or referencing books you own, by all means, color-code your shelves. Because books are, in themselves, quite beautiful, and so I understand the aesthetic appeal of a color-coded shelf. I think this is why I’ve never been too frightened by the e-book revolution. Yes, big-brand bookstores are shuttering all across the country, but I believe that people will still hold onto their real books, because books are physically beautiful. Kindles are not. There is great pleasure in displaying books in the home, and a room without books in it has always felt empty and soulless to me. How do you display your books? Do you follow a system, or do you throw caution to the wind with book organization? I just (finally) got a huge bookshelf – I say huge because it takes up most of an entire wall in our living/dining room of our apartment – and I’m so glad to have my books out of the boxes and random stacks everywhere. Though I do have quite a huge library of eBooks on my Kindle, I tend to buy the books I love most in print so I can keep them forever and read them to my future kids. Our bookshelf is categorized: fantasy/sci-fi, general fiction/YA, tabletop roleplay, classics, and old history textbooks from college. They are arranged by author and/or series because my husband lets me arrange everything except the D&D books, he likes them in a certain order. Ha! My books have been color-sorted for years, and I love browsing for titles that way. The books that I DO reference frequently, I know their colors. Of course, sometimes I can’t find something I’m looking for, but while I’m looking I tend to find other gems – and my frustration with not finding a book I was SURE I owned means that I keep returning to the shelf. Loved seeing all the ways to keep books. Lovely post! Personally, I like stacks and piles of books. As to my bookshelf, I tried to alphabetize it, but since my space for book storage is pretty limited at the minute, I ended up just having to put books on my book shelf in an order in which they fit. I do not have the patience or the sensitivity to colour for colour coding, so it has never occurred to me to do so. I once read a decorating book in which the suggestion was made to cover all your books with white paper. The effect looked nice, but almost gave me an anxiety attack thinking about trying to find any one book in that sea of white! I suppose colour coding isn’t that bad of an idea when compared to that one. Totally agree with you. I love my books!